Hank Pym returns to his greatest role! That's right, Giant-Man is back! Then, the Avengers Academy students take on a mission of vengeance against the Hood, and Finesse goes off in search of the man who could be her father: Taskmaster! But everything changes when Korvac returns and defeats the Avengers. Now, the world's only hope lies with the Avengers Academy students, who have been aged to adulthood! With time manipulated, the team gets a glimpse of what the future might hold for them. For some, it's a revelation; for others, a life sentence! Can they overcome their personal demons and master unfamiliar abilities in time to defeat a foe powerful enough to conquer Earth's Mightiest Heroes? 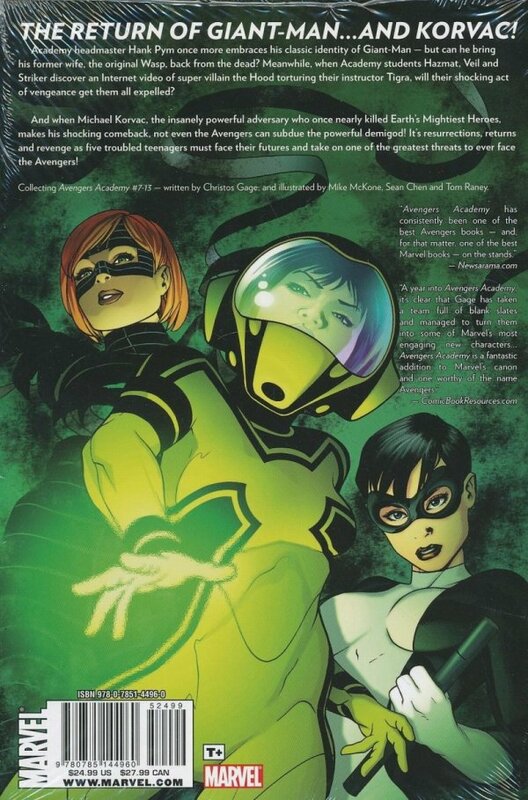 And if that wasn't enough, enter the Young Allies, the Initiative - and the Sinister Six! 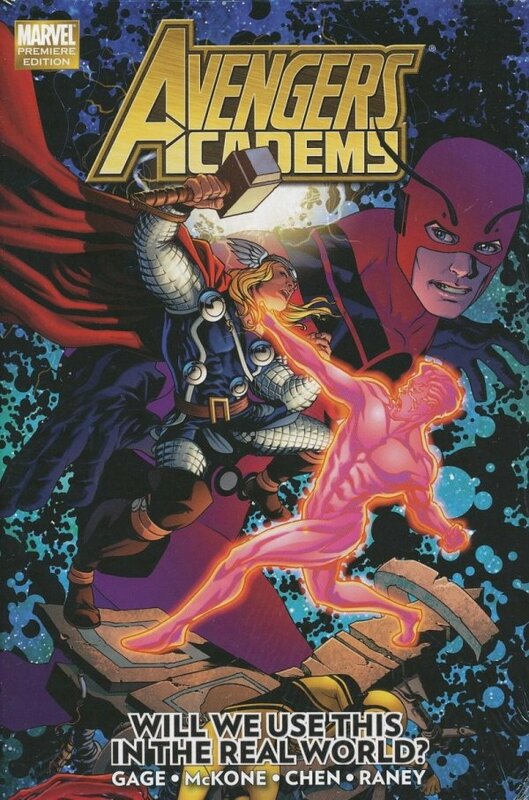 Collecting AVENGERS ACADEMY #7-13.